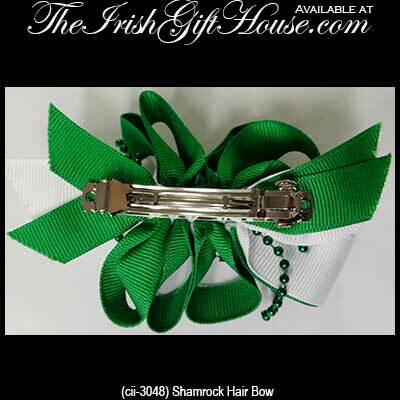 Shamrock hair clips features Irish bows with barrette clips. Our green hair bows and shamrock hair clips are perfect for St. Patrick's day or for any day that you want to show your Irish pride. 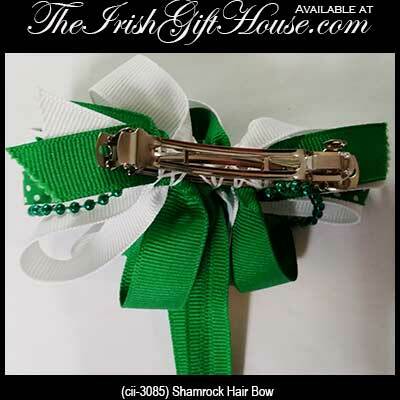 These Irish hair clips are available is several different sizes and are enhanced with shamrocks along with stripes and accent beads. 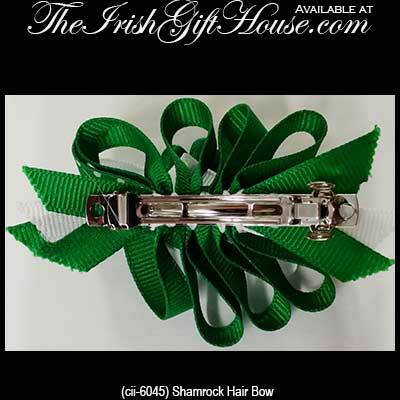 This Irish hair clip features two cloth shamrocks along with green beads. This Irish hair bow features shamrocks along with green bead accenting. 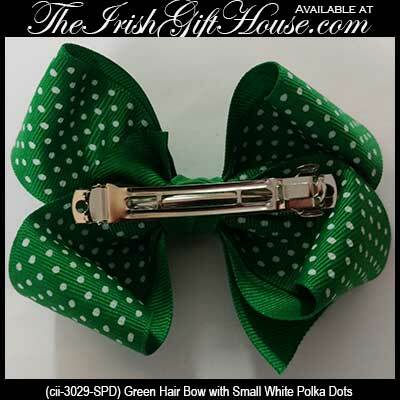 This Irish hair bow features a cloth shamrock along with green, white and polka dot ribbon. 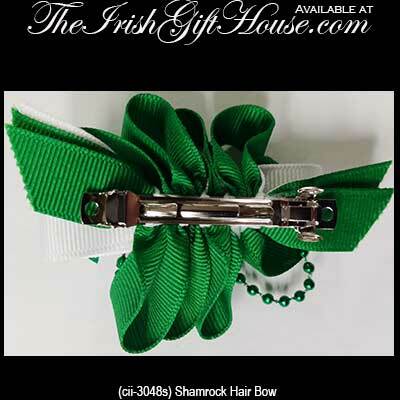 This Irish hair bow features a cloth shamrock along three different ribbons. 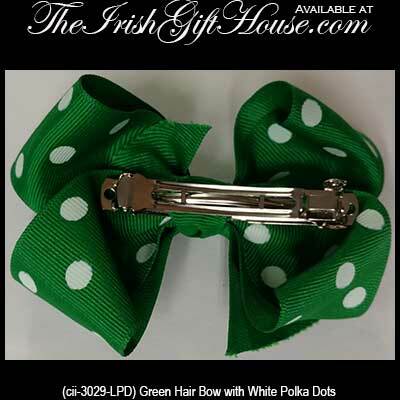 This large Irish hair bow features green ribbon that is enhanced with white polka dots. 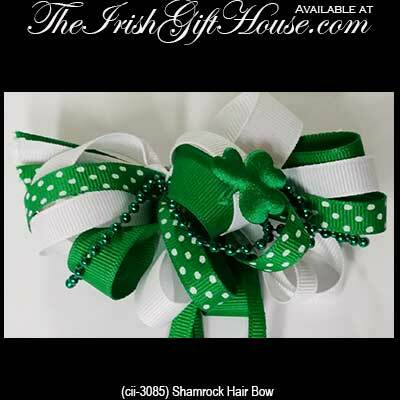 This large Irish hair bow features green and white striped ribbon. 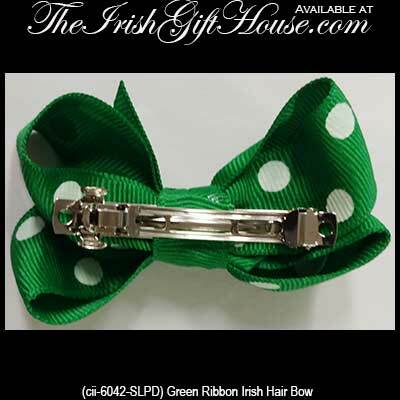 This small Irish hair bow features dotted green ribbon. 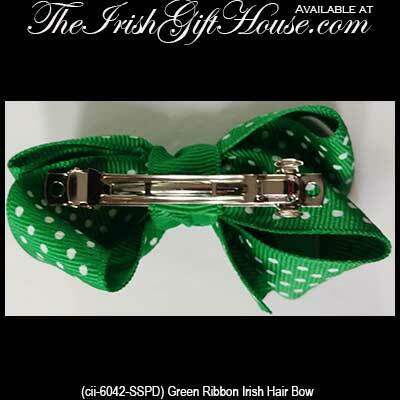 This small Irish hair bow features green and white striped ribbon. This green and white Irish hair bow features a green shamrock and is a suitable size for a baby or toddler.